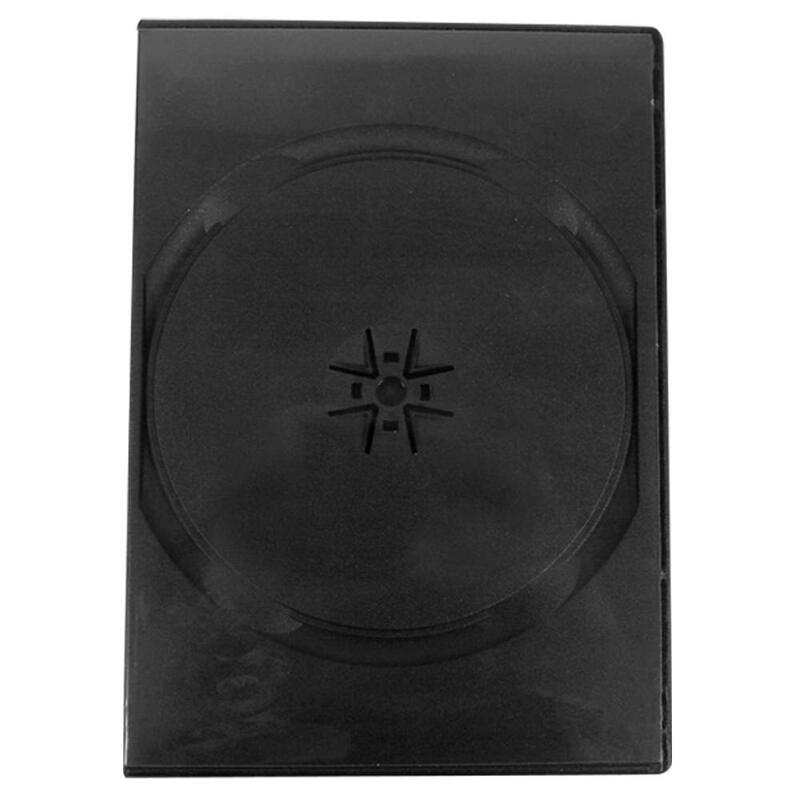 Effortlessly store up to 8 DVD discs in this swing tray DVD case in black. The discs are held securely in place with swing trays which snugly fit your discs but are still easily accessed with button hubs. Each case includes a clear overlay for adding printable inserts. The spine is 25mm wide so you aren’t left with a bulky case to haul around; storage is easy and low maintenance. Form and function are combined in a low cost, effective DVD storage solution. The USDM eight disc case stores up to eight full size DVD discs on its swinging trays. Unique design allows DVDs to stay securely fastened, thus keeping them safe. Standard black color. Each case includes a clear overlay on the outside for adding printable DVD case inserts from the top or bottom. Entrapment Dimensions: 11.25" x 7.125"